Have you been entrusted with planning the most amazing and memorable party of your best mate’s life? Yes? Fantastic! You know what that means, don’t you? Sorting out and arranging everyone’s day and night-out, every day, for the whole trip and making sure they are always kept busy and entertained, finding the best accommodation, activities, places to eat, drink and party… at the best possible prices! If that doesn’t sound in the least bit exciting or appealing to you and if you don’t feel like having to deal with the stress of it all… then you and your mates are in for a real treat because we are here to help! Brilliant!  It can be pretty daunting organising a stag or bachelor party and Stag Club was designed to help you do just that. It is your one-stop-shop to get the celebrations rolling and we can assure you that everyone will be glad that you were entrusted with the planning! By profession, Alexia and Steve are lawyers in Malta, but setting up a travel agency together had always been a dream of theirs. Steve has been in the entertainment industry for the past five years organising some of the biggest parties in Malta (Sunglasses at Night) and thought it only natural to ask Alexia to head this new project on account of her passion for entertaining and organising – Malta InsideOut, Hen and Stag Party Time in Malta! Growing up and living in Malta definitely helps a great deal when planning a party like this one. Thanks to our useful knowledge of exhilarating activities, best eateries, watering holes and party places on the island, we can guarantee that we have got what it takes to make this the perfect stag party that you and your mates will be talking about forever!